According to the Japanese, everyone has an ikigai—a reason for living. In researching this book, the authors interviewed the residents of the Japanese village with the world’s highest percentage of 100-year-olds. Ikigai reveals the secrets to their longevity and happiness: how they eat, how they move, how they work, how they foster collaboration and community, and—their best-kept secret—how they find the ikigai that brings satisfaction to their lives. And it provides practical tools to help you discover your own ikigai. Because who doesn’t want to grow old while being forever young? Jacob Collier is a Grammy Award winning artist based in London. During the Fall of 2016 Jacob performed with musicians from MIT, Berklee College of Music, New England Conservatory, Boston Arts Academy, and UNH. This film features rehearsals, behind-the-scenes footage, interviews with the artists, and live performance shot with 8 cameras. Above is one of the songs sung at the final concert. This DVD will help increase your speed, power, control, endurance and sticking technique. It also demonstrates how power is generated by a whipping "down-stroke" motion. One of the most comprehensive and detailed volumes on hand technique ever produced, Jojo Mayers Secret Weapons for the Modern Drummer is recommended for drummers of every age, style and skill level. 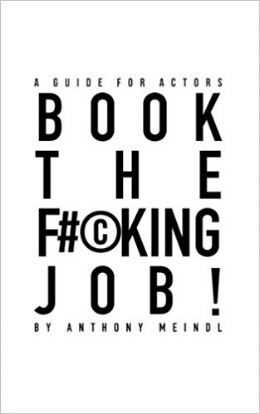 This playlist has all of the audition talks done by Anthony Meindl at his acting studio in L.A. I learned a lot from this man and I highly recommend that you watch all of his videos on YouTube. Whether you are giving a closing argument in a courtroom, making a presentation at work, or stepping up to the first tee, this simple twenty-one-day plan will make a profound difference in the way you approach challenges, allowing you to think more clearly and creatively under pressure. Fight Your Fear and Win is the ultimate tool for conquering your fear and achieving success when you need it most. Gathers the thoughts of the famous martial arts expert and actor about zen and the practical aspects of self-defense. Shows you how to silence the noise of your left brain, ignite your creative side, and live the life you've always imagined. This is a short clip of Russell Delman discussing Movement of Attention. The solution to every problem is only an idea away. Don't move until you see it. This video clip was created for educational purposes, to show the parallel between the experience illustrated here. The Feldenkrais system is a way of handling the body by communicating specific sensations to the central nervous system in order to improve the functions of the motor-system. By combining body study and movement with her own experience in scientific research, she suggests ways to overcome an obstacle with less force. A guide to unlocking creative potential provides exercises, anecdotes, and advice for evaluating one's creative history, finding creative stimulation through activity, and making time for creative change. Written by the seventeenth-century Zen master Takuan Soho (1573–1645), The Unfettered Mind is a book of advice on swordsmanship and the cultivation of right mind and intention. Sticking It Out is a humbling account of the work that leads to a dazzling moment of perfection, and of the dogged persistence it takes to follow a dream. Here are the inspirational life and teachings of Awa Kenzo (1880–1939), the Zen and kyudo (archery) master who gained worldwide renown after the publication of Eugen Herrigel's cult classic Zen in the Art of Archery in 1953. A demonstration of how being soft allows for more effective responses and movement. The emotional content in the work must come from the inside of the artist. 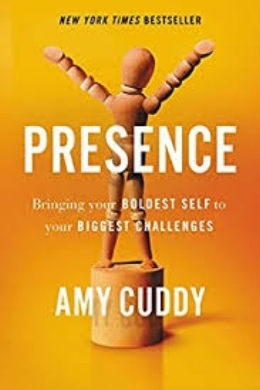 As Harvard professor Amy Cuddy's revolutionary book reveals, we don't need to embark on a grand spiritual quest or complete an inner transformation to harness the power of presence. Deals with musical freedom for musicians, a book for any musician who finds themselves having reached a plateau in their development..
A talk about how allowing emotions to occur liberates your creativity. Jojo Mayer interview about the music business, groove, and life. Free Play is about the inner sources of spontaneous creation, directed toward people in any field who want to contact, honor, and strengthen their own creative powers. A revolutionary program for overcoming the self-doubt, nervousness, and lapses of concentration that can keep a player from winning. This talk was given at a local TEDx event, produced independently of the TED Conferences. Heifetz School Daniel Heifetz is the President and Founder of the Heifetz International Music Institute. In a career spanning over 30 years, Mr. Heifetz has dedicated himself to the art of communication through performance and education. Alphabet Soup for Grown-Ups: 26 Ways to Not Worry (Really! ), Be Happy (Truly! ), and Get Over Yourself (Finally!) is a book that just might change your relationship with the most important person in your life: yourself. This landmark book enlightens amateur and professional musicians about a way of practicing that transforms a sometimes frustrating, monotonous, and overly strenuous labor into an exhilarating and rewarding experience. Anthony talks about the true way to audition. A discussion about enjoying the process of creation. It is a manual on meditation. In this book, the Vietnamese Buddhist monk Thich Nhat Hanh presents several methods for becoming liberated. Teaches a set of skills so that a musician can be ready to go out and sing or play at his or her highest level, working with energies that might otherwise be wasted in unproductive ways. Drawing on Eastern philosophy, Buddhism, Japanese Psychology, Zen, the Samurai, and Martial Arts, Gregg Krech offers an approach to ACTION that guides you to doing what is important for you to do in the time you have available. This new, definitive edition of Chekhov's masterful work clarifies the principles outlined in To the Actor concerning the pivotal role of the imagination in actors' understanding of themselves and the roles they play. A discussion on how auditions trigger our fight or flight response and ways to deal with it. A collection of music, activities and exercises based on the principles of Dalcroze’s method. Set out in chapters which each deal with an aspect of music, for example, the nature of rhythm, duration, tempo, pitch and melody. Jason Heath sat down with 27 successful audition winners and asked them for specifics. What did they do to win that audition? How did they prepare? Laurent discusses and demonstrates his views on musicality and how it informs his performances and development. A fundamental text for both philosophical and religious Taoism, which when first introduced into China was largely interpreted through the use of Daoist words and concepts. From technical questions to business questions to booking jobs to allowing yourself to feel (in acting and in life!) and ultimately to remembering why the hell you wanted to do this in the first place. Jojo Mayer reveals his unique talent for creating modern sounds on the drumset. Developed over years of experimentation with his progressive band Nerve, pushing the boundaries of modern music. His unique blend of drum and bass, jazz and jungle grooves executed with an astonishing technique which have won him legions of fans around the world. While on tour with Mike Stern the great Dave Weckl took quite some time to sit down with me and do a very remarkable talk about music and melody, expression, character, nuances and tiny details you can and should pay attention to to be a better musician. In this new edition of his groundbreaking classic work, Csikszentmihalyi demonstrates the ways this positive state can be controlled, not just left to chance. By ordering the information that enters our consciousness, we can discover true happiness and greatly improve the quality of our lives. In this book, the author shows you that managing your own self-talk is something you can do starting immediately, and he gives you step-by-step directions on what to do and how to do it. Theater veteran and acting teacher Joanna Merlin has written the definitive guide to auditioning for stage and screen, bringing to it a valuable dual perspective.